Check out Andrea as “Pinkie Pie” in brand new short episodes of Baby Flurry Heart’s Heartfelt Scrapbook on the My Little Pony Official YouTube Channel. 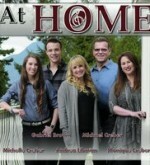 Andrea Libman has collaborated with four talented artists to release an unplugged album of original and cover songs. Andrea is featured on three tracks: ”When Sunny Gets Blue,” “Girl From Impanema” and ”I’ll be There.” The collection includes vocal solos and harmonies by Gabriel Brown, Michelle Creber, Monique Creber and Andrea Libman, accompanied by Grammy-nominated pianist, Michael Creber. Andrea has been nominated for a UBCP/ACTRA Award for her work in the animated series My Little Pony: Friendship is Magic. 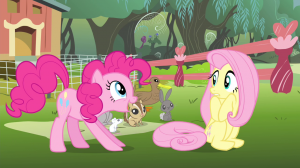 She has been recognized for her roles as Pinkie Pie and Fluttershy in the episode “Filli Vanilli.” The Awards will take place at the Vancouver Playhouse on November 22, 2014.